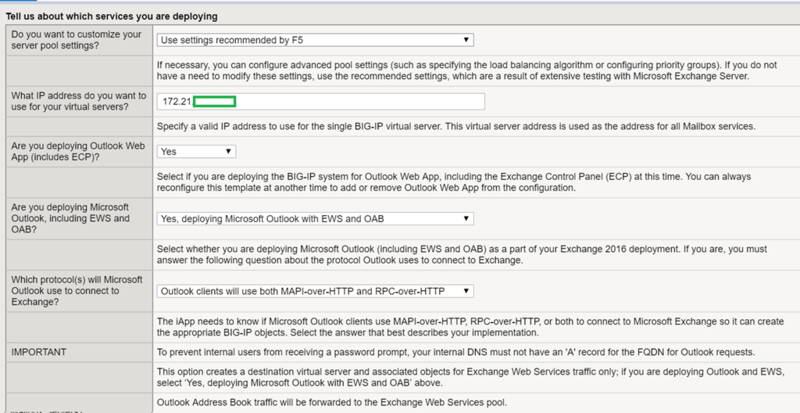 Load balancing SMTP traffic and to retain the source ip in the exchange logs you need to disable SNAT/Auto map. 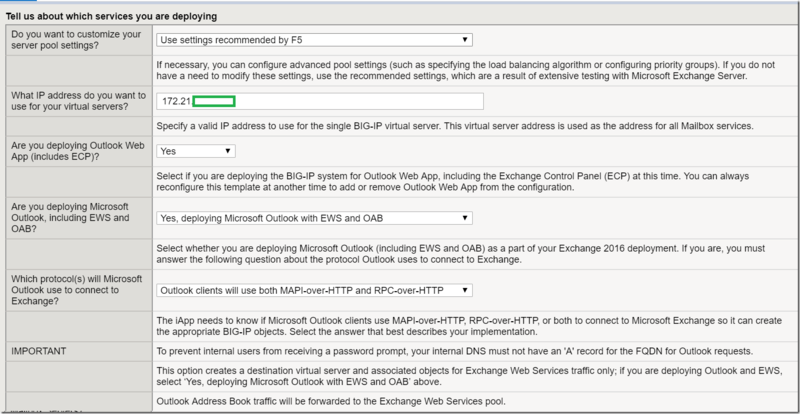 so make sure f5 is your gateway when you deploying exchange with f5. 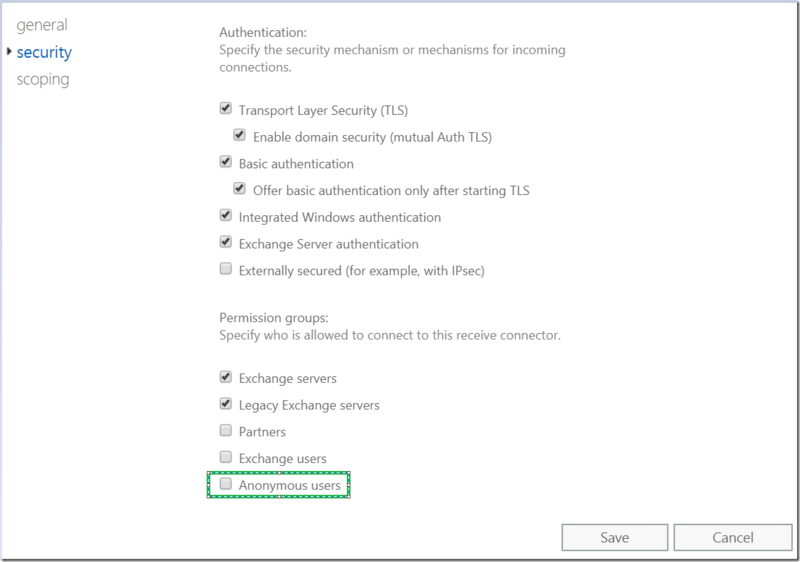 I have stretched my Exchange server VLAN and added as a Self IP in F5 and self ip will be my gateway for the exchange servers in the same VLAN. 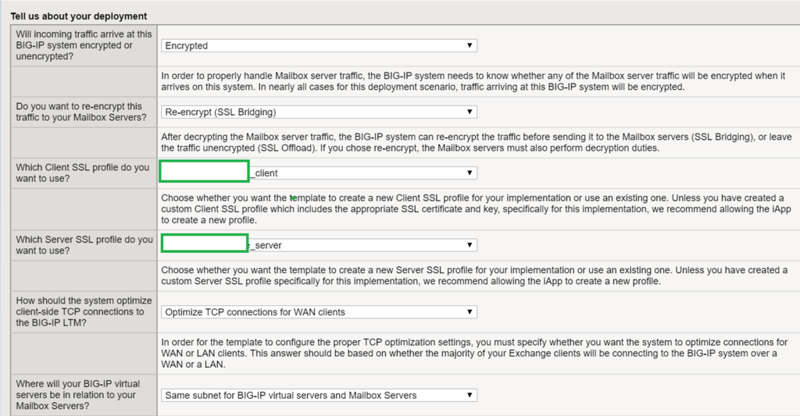 Now Exchange servers gateway is f5 on the same VLAN and VLAN is forwarding all traffic from the f5 to its default gateway . Now whatever is your default gateway Cisco Router or Firewall . 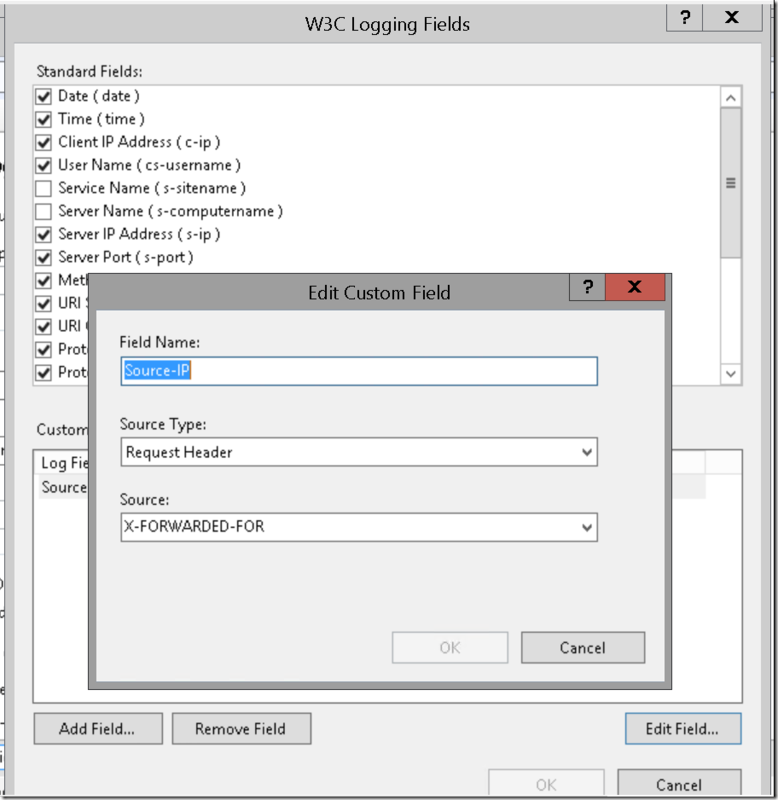 Create a static route to route back the traffic to f5 floating ip. 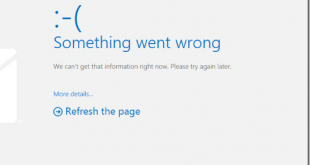 So you are making sure all the traffic via exchange servers goes to f5 and comes via f5. 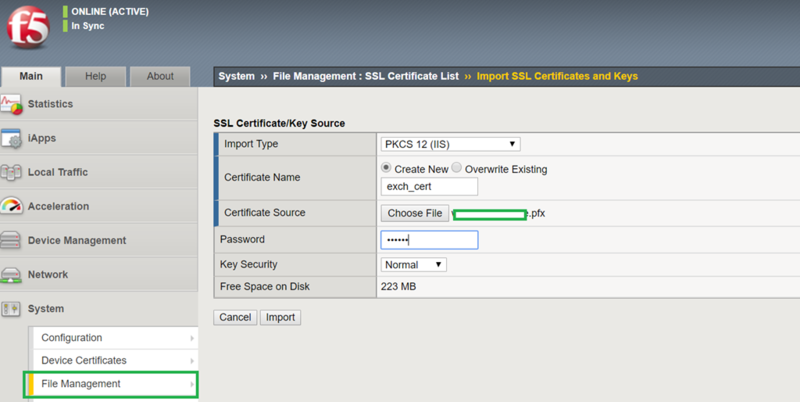 we need to export the file as .pfx or use mmc to export the cert as .pfx with the private key. 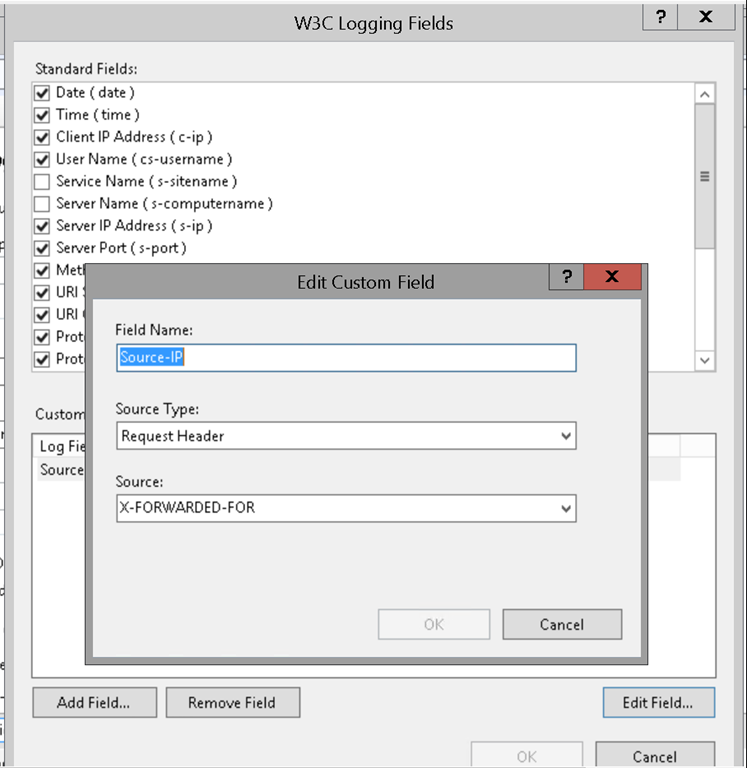 Add the Certificate you imported. 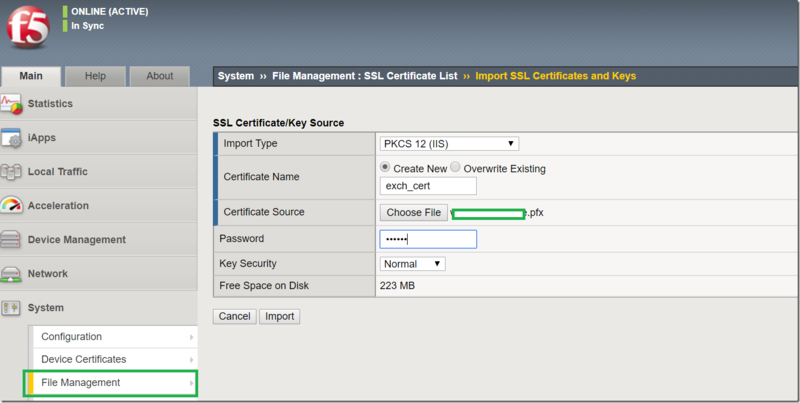 Choose Finished now SSL Client is ready. 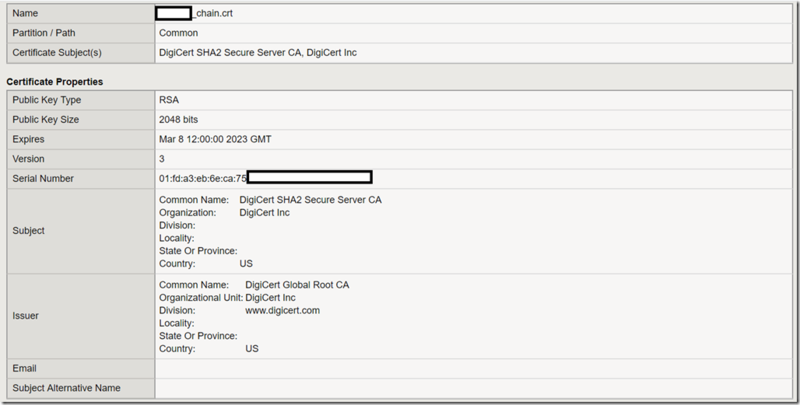 Create Server SSL Profile . Redo the same process of choosing the same cert. 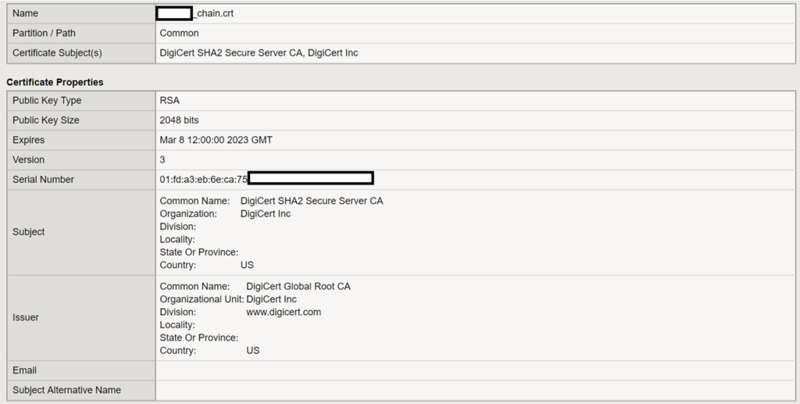 Now you have a client ssl and server ssl profile. Have the SSL profiles ready. 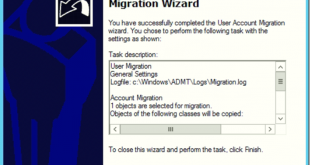 Choose the maximum number of concurrent users fewer than 6000 . 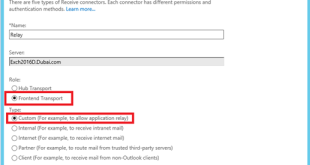 64,000 concurrent connections is more than sufficient for a 3000+ mailbox environment in this specific case. Choose finish. Now iApp with Exchange HTTPS traffic is Configured. Now lets see how to retain the source ip for http/https traffic and Source address translation is enabled by default on the HTTPS pool Configured by the template. 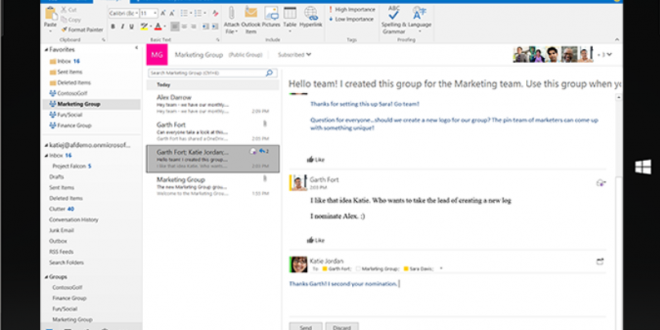 I want to keep the design and configuration minimal so that when you import or replace or upgrade templates. no much additional configuration is needed. Also note that X-Forward-For is enabled by default on the http profile which will remain untouched. 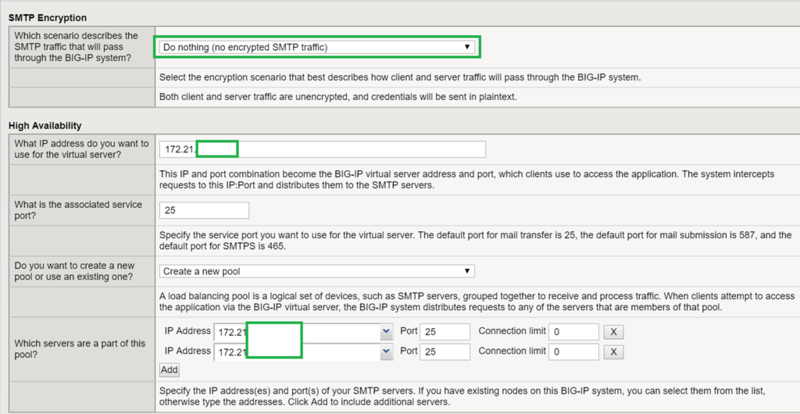 Lets configure the SMTP Load balancing now . 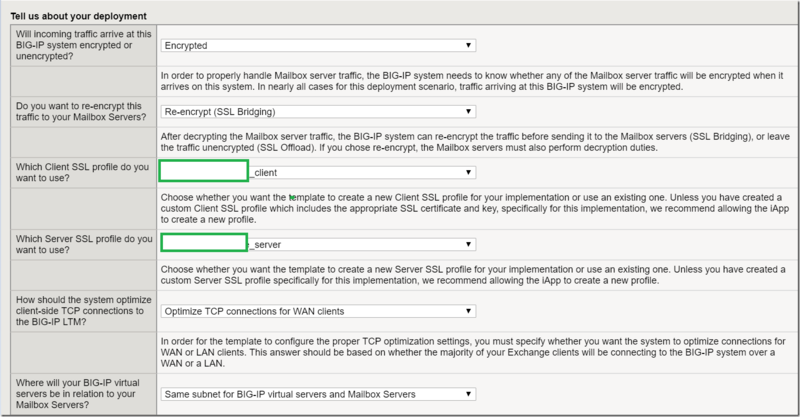 As seen above , now choose the SMTP template , Import it. 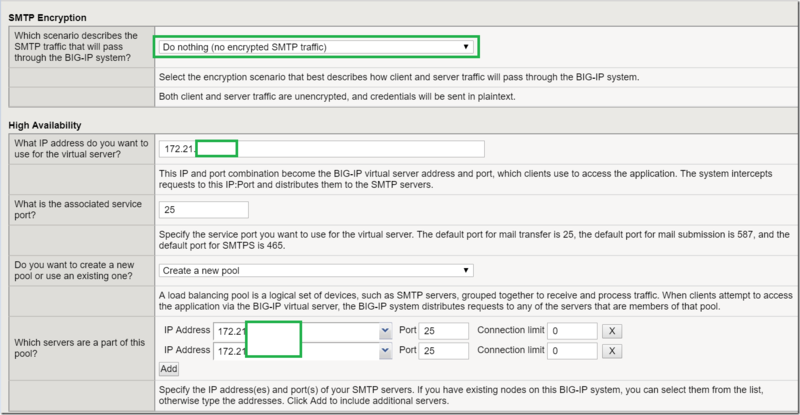 Choose the same VIP as HTTPs to simplify the setup. Choose the fqdn for smtp and choose no authentication required and no message submitted as Exchange will handle the rest. 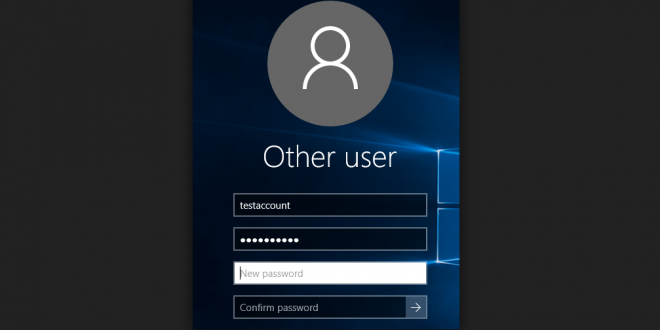 and create anonymous relay connectors for Applications which need to send out to the internet.